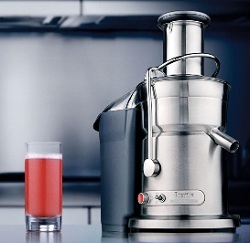 Looking for the best juicer or best juice extractor for you? Here is some help to compare juicers. Creating your own blend of juices at home is fun and healthy. Many people are turning to home juicers as a way to create a balanced diet full of vital nutrients. Fruits and vegetables offer many essential vitamins that are crucial to the human body, however not everyone enjoys eating the actual fruit or vegetable and many do not have time to prepare them, which is where juice comes in handy. The only question at this point is which juice extractor you should buy. Here are a few things you will want to consider. Handheld– these will be the cheapest option. Juice is extracted based on the amount of pressure you can place. Centrifugal or Masticating– these juice extractors are a bit higher, but will produce results that are more consistent. These are generally created for home use and will vary in price and function. Commercial Machines– the most expensive option will be the commercial varieties. These juicers will produce more juice at one time and generally are much more durable. Are you looking for a handy device to make a fresh squeezed glass of orange juice or lemonade on occasion, or a something that will allow you to make a gallon of healthy wheat grass mixture for the entire family? If you are going to be using the machine every day and plan on making creative juices a part of everyday life, you may want to invest in a middle ground or commercial machine. Constant usage will wear on plastic parts or your hands if you choose a handheld model. What type of fruits and vegetables are you going to be using? Each machine will be better suited to different food types. For example if your plans involve mainly wheat grass and kale a masticating juicer may be the best, as you will get a lot of juice from a few vegetables. On the other hand, if you are looking to create a variety of juices from fruits and vegetables of all kinds a centrifugal machine will be better. There are several things to consider when purchasing a juice extractor. 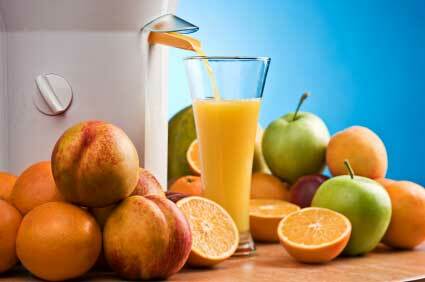 Price, use and variety of juices will all play a role in determining which machine will best suit your needs. Take your time to research the variety of juices and perhaps even try a few of your favorites at a local juice bar. If you have never tried fresh fruit or vegetable juice, you do not want to run out and buy the most expensive juicer on the market.